Panasonic Arc 3 vs Braun Series 3: What’s the Best Entry Level Electric Shaver? Affordable electric shavers represent a highly competitive segment. The reasonable purchase price, low cost of ownership and excellent price/performance ratio are among the things that make these razors very appealing to the potential buyer. In this head to head episode we’ll take a close look at two of the best budget electric razors, namely the Panasonic Arc 3 vs Braun Series 3. We’ll find out how they stack up against each other in some key aspects and we’ll also see the where one would make a better choice than the other. Both the Arc 3 and the Series 3 have been around for quite a while. During this time, both lines have seen new models being added to the current lineup. Panasonic’s Arc 3 family of shavers was launched around 2008 and until 2015 there have only been incremental updates, consisting mainly in visual improvements. Therefore, the shaving performance has remained pretty much the same throughout the whole Arc 3 line. The new models introduced in 2015 by Panasonic, called the LT-series, are a clear departure from the older ones, going for a more premium positioning. This is also reflected in their price which is, at least at the moment of writing, much higher than what most would be willing to pay for an entry level razor. Therefore, we will mostly be referring to the 2008 – 2015 Arc3 shavers. Braun has also updated its Series 3 line in late 2015, but it was more of a visual makeover. The new razors (3040s, 3050cc etc.) 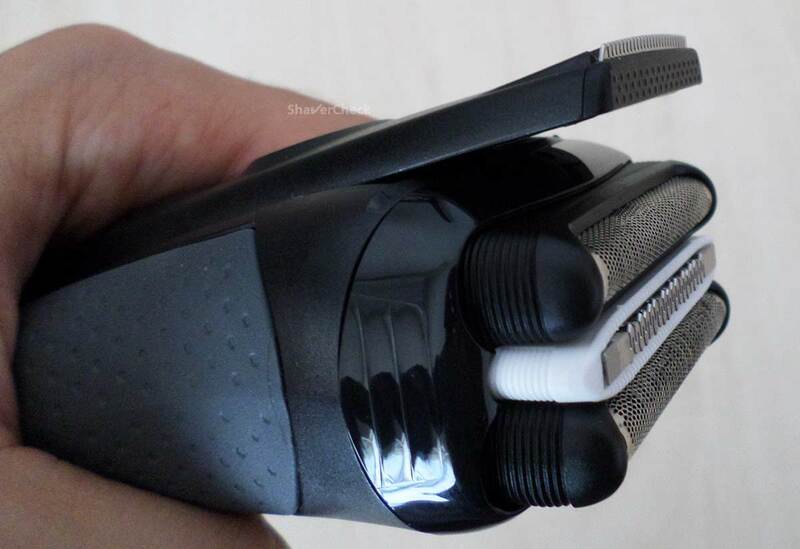 even use the same shaving heads, so the performance is again identical for all Series 3 shavers. The prices are also similar, so we’ll consider both the updated and the older models. The Braun Series 3 3050cc in the foreground is a dry only razor that comes with an automatic cleaning station. The blue 3040s in the background can be used wet or dry but doesn’t include a cleaning station. The shaving performance between the two is the same. Panasonic Arc 3 vs Braun Series 3: what are the differences? 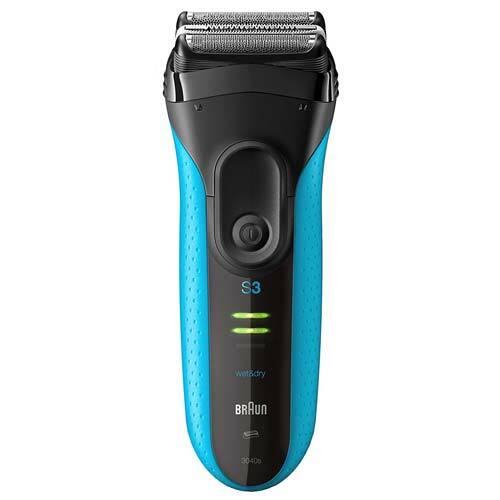 Both the Panasonic Arc 3 and the Braun Series 3 are reasonably priced electric razors, featuring a shaving head with 3 individual cutting elements, wet & dry operation (only certain models from Braun) and are best suited for shaving daily or every other day, offering excellent performance for the price. Let’s now address the things that interest us the most in this Panasonic Arc 3 vs Braun Series 3 confrontation, the actual differences. Getting a close shave is probably very high on the priority list of anyone looking to buy an electric shaver. While a more advanced razor like the Braun Series 7 or a Panasonic Arc 5 will provide a closer shave, the Arc 3 and Series 3 can yield very good results, especially if you follow a few simple tips. However, in my personal experience I have found the Panasonic Arc 3 to be better than the Series 3 from Braun when it comes strictly to the closeness of the shave. I can attribute this to the more powerful 13 000 CPM motor that was fitted to the Arc 3, their 30 degrees sharp blades and to the curvature of the foils (thus the Arc in the name) which ensures optimal contact with the skin. Also, the Arc 3 feels faster and completing a shave takes slightly less time. It’s worth mentioning that the performance will be the same in the case of all the Arc 3 models fitted with the 13 000 CPM motors. So the ES8103S is not the only option and you might as well opt for a different one (as long as it’s not using an inferior motor). When it comes to comfort, the Braun Series 3 has the edge, at least in my experience and especially during a dry shave. A Series 3 razor feels smoother and gentler to the skin, while the Arc 3 shavers are a bit more aggressive. The downside of providing a closer shave is a small tradeoff in comfort. The difference is not that significant and some may not even notice it, but it’s important to take this into account if you have very sensitive skin. All Panasonic Arc 3 come with an integrated trimmer, while certain models from the Series 3 don’t have one (those also have a lower price). 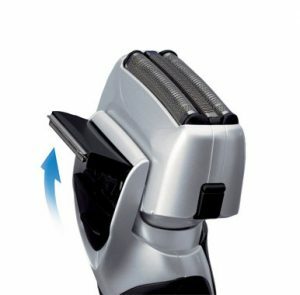 Panasonic’s popup trimmers are suitable for light grooming and trimming your sideburns, mustache and goatee and are generally sharp and very efficient. Their main drawback is related to the positioning, behind and perpendicular to the shaving head. This makes it difficult to see what you’re doing. A workaround that I found to be quite effective is to remove the foils and the two blades, exposing the trimmer. 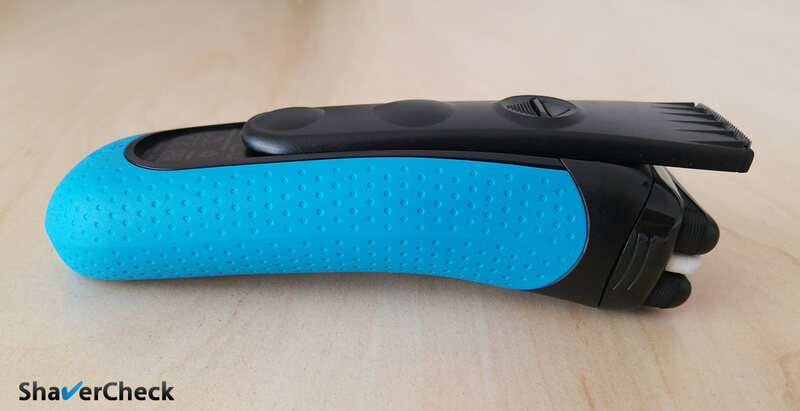 The long hair trimmer found on the Braun Series 3 razors is definitely better in terms of ergonomics. It extends beyond the shaving head and it’s more practical and easier to maneuver. On the other hand, Braun’s trimmers seem to be rather dull and you have to go over an area many times to get all the hairs. 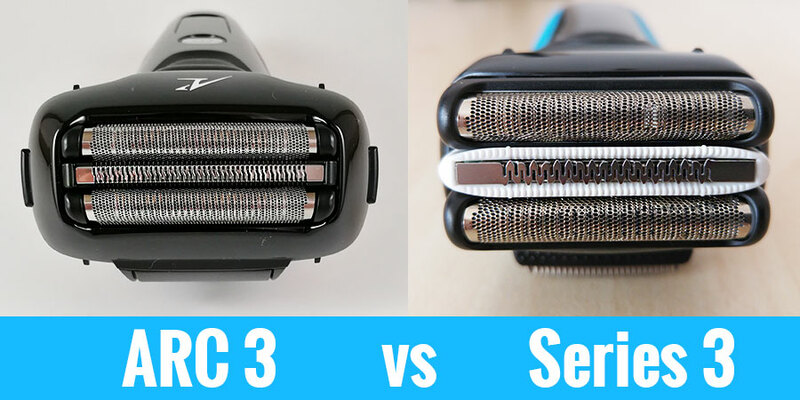 Overall, the hair trimmers on both the Arc 3 and the Series 3 are a mixed bag, with a slight advantage for the Arc 3. But they’re definitely useful, so my recommendation is to avoid the Series 3 razors that don’t include one (like the 3010s or the 3000s). All Panasonic Arc 3 shavers are suitable for wet & dry operation. They’re also fully waterproof, so you can use them in the shower as well. Panasonics work particularly well with shaving cream, so if you’re into that definitely consider an Arc 3. Braun opted to include razors that can be used wet & dry or dry only in the Series 3. I wouldn’t consider this a minus as you’ll just have to pick one depending on how you’ll be using it. In this article you’ll find a detailed comparison table to see exactly which models from the newer Series 3 allow wet & dry use. 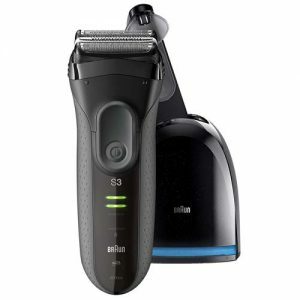 A Braun Series 3 razor and a corresponding Arc 3 from Panasonic, both similar in terms of accessories and capabilities, will also have relatively close prices. Of course you can find one or the other at some great discounts and in that case you should probably go for the cheaper one. For example, the Braun Series 3 3040s can even be found at half the regular retail price. However, when it comes to ownership costs, Braun is the clear winner. 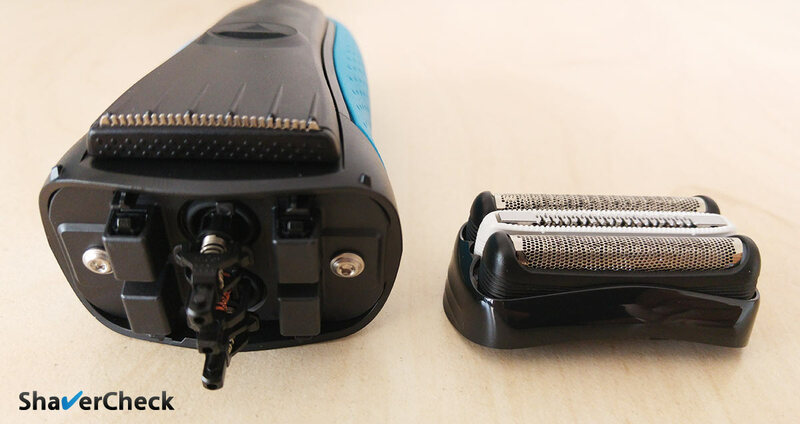 All Series 3 shavers use the same blades and foils combo, called a cassette. These cassettes are priced significantly lower than the corresponding parts for the Panasonic Arc3. 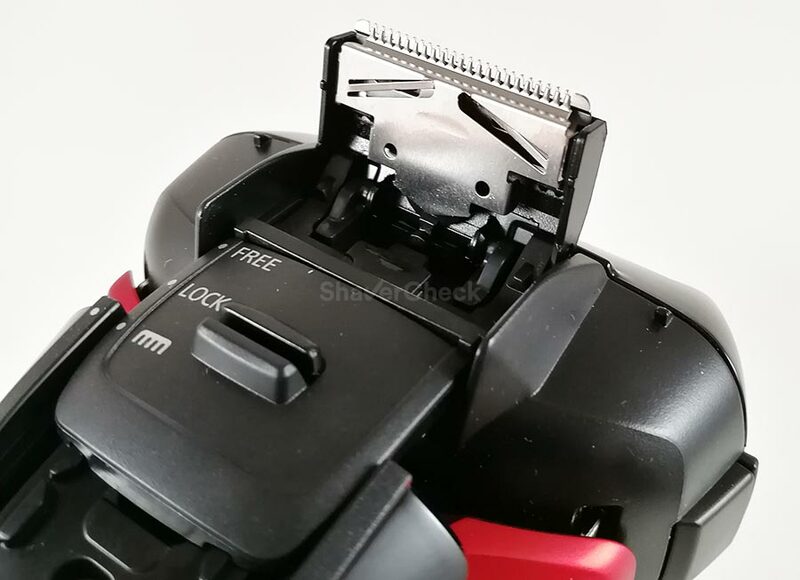 Moreover, the blades used for the Arc 3 razors, even though they seem sharper at the beginning, tend to become dull faster, so you’ll have to change them more often. Cleaning cartridges will also increase the running costs, but in a similar manner for the Series 3 and the Arc 3. It’s also important to note that since both the Arc 3 and the Series 3 have many models, older or newer, the prices can vary to a high degree. So definitely check out as many as you can before buying a particular one. I would also recommend staying below the $100 threshold (at least for the models that don’t include a cleaning station) as there are better alternatives for that kind of money (like the Panasonic ES-LF51-A Arc4 or the ES-LA63-S Arc4). Both Arc 3 and Series 3 have razors that are available with an automatic cleaning station. However, just the dry only variants from Braun’s Series 3 can be bought with one. I’ll say it right off the bat, Braun’s cleaning stations are necessary. The shaving heads used by the Series 3 are a lot more difficult to clean manually compared to the Arc 3. Braun’s cleaning solution also lubricates the shaver, so that’s one thing you won’t have to worry about anymore. If you want the convenience of a cleaning station, make sure to check out the Braun Series 3 3050cc below as it seems to be the most reasonably priced of them all. You can also read my in-depth review of it here. You should also look at older Series 3 models, like the 350cc-4 as you might be able to grab one at a nice discount. As previously said, they will provide similar shaving performance, so simply buy the more conveniently priced variant. If you choose to save some money and skip the cleaning station, then you’ll have to manually clean your razor after every use. In this case the Panasonics are easier to clean as the foils and blades can be separated for a more thorough cleaning using a bit of liquid soap and hot tap water. Braun uses a cassette for the Series 3, with the blades and foils being integrated into a single piece. This makes cleaning more fiddly and time-consuming as you have to make sure that all the hairs, debris or foam are completely removed from the shaving head. Panasonic Arc 3 vs Braun Series 3: which one should you choose? While both the Arc3 and the Series 3 offer very compelling features, due to their differences, there can be situations where one would make a better choice than the other. Let’s now settle the Panasonic Arc 3 vs Braun Series 3 dispute and see which is the right one for you. Lastly, since you can’t go wrong with either of the two, don’t neglect the purchase price. Since these are budget electric razors, the price should be a decisive factor when making your pick. 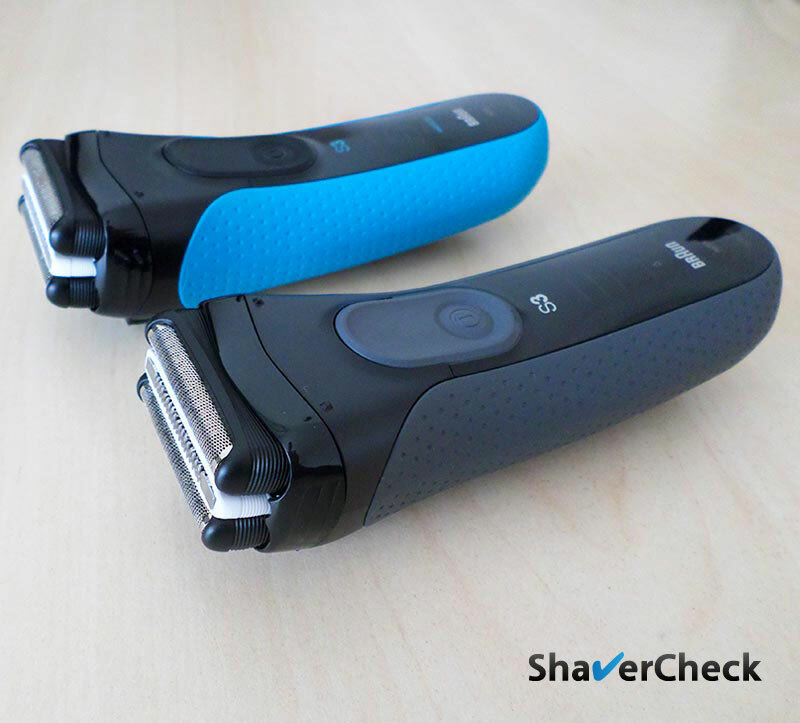 So if you stumble upon an Arc 3 or a Series 3 shaver at a great price, simply go for it. Home » Articles & Guides » Head to head » Panasonic Arc 3 vs Braun Series 3: What’s the Best Entry Level Electric Shaver? Hi and thanks for the great comparison. Do you have any information about the battery life of these two? Hi and thank you for your comment. I’ve actually owned quite a few Arc3 and Series 3 shavers and the battery life was very good for both. Definitely consistent with the manufacturers’ claims — 45-50 minutes of use from a fully charged battery. Between these two – which is louder? They’re pretty similar and pretty loud as all foil shavers are. But the Series 3 is a bit quieter to my ear — the sound has a lower frequency and is more muffled, while the Arc 3 produces a very sharp, high pitched buzz. Oh, how is the side trimmers on these two? Hoping the series 3 is better as aiming for that one. I have a braun series 9 and the side trimmer is not great. And as a shaver itself – its loud. I personally don’t like Braun trimmers — they just don’t cut as well as the ones on Panasonic shavers. So in this regard, I’d say the Arc 3 is much better. I’ve read a lot of articles and reviews about them and finally I will go with the arc 3. What are your pick between es-rt 47 and es-st3n? I find them in similar price. The ES-ST3N should provide better performance (faster 13 000 CPM motor vs 10 000). I think that there is no flexible pivoting head in the es-st3n model. Is that a major issue? In my opinion no. I don’t find their implementation of flexible shaving heads particularly useful. On older models it’s jerky and the range of motion is very limited, while on the latest Arc 3 models the whole head is just wobbly and too much of a good thing.